There are more than 12,000 miles of coastline in the United States, and much of that includes some prime beach locations. A US beach vacation is among the best in the world, whether you’re on the East Coast, the West Coast or all the way out in the Aloha State on a Hawaiian beach paradise. Wherever you decide to head, there are usually lots of chances for fun side trips to parts of America you may never have enjoyed before. If you want to spend some time on the best beaches in America, then checkout this list of excellent choices. USA beach vacations can’t be beat! This former retreat for the Hawaiian royalty of Maui is now a popular getaway for people from all over the US – and the world. 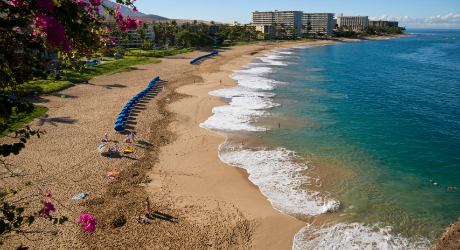 The three-mile beach includes lots of ways to enjoy the surf and sand. Stay for sunset, when there’s a nightly cliff diving ceremony off the northernmost cliffs known as Puu Kekaa, or Black Rock. 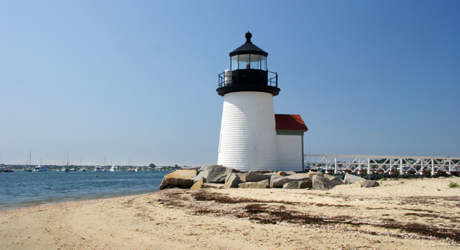 If you’re looking for the ultimate all-American beach destination, look no farther than Nantucket. From its stately clapboard cottages to its many quaint antique shops, this former whaling community forms the perfect backdrop for breezy beaches, crisp salt air and plenty of places to relax and play. 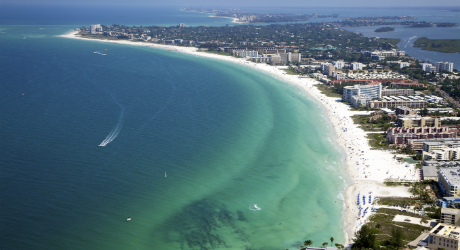 Famous for its quartz sand and clear water, this island community, located near downtown Sarasota, is said to have one of the best public beaches in the US. Since the whole island is only eight miles long, you’ll always be close to another chance to build a sandcastle, frolic in the surf or just lie back and enjoy the sun. 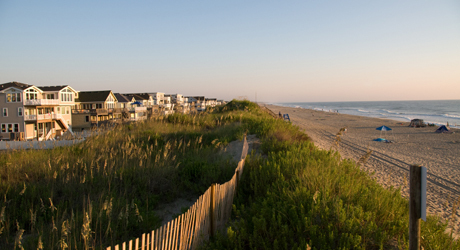 The Outer Banks are really a chain of barrier islands off the coast of North Carolina, with miles of unspoiled coastline. 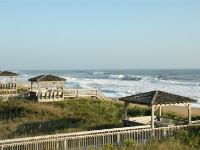 “OBX,” as the natives say, provides plenty of choices for high-energy activities, along with the chance to learn a little aviation history, or some fun facts about Blackbeard the pirate. 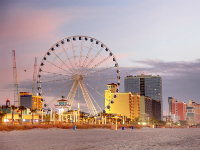 This area along South Carolina's famed 60-mile Grand Strand features wide beaches and the softest of sand. 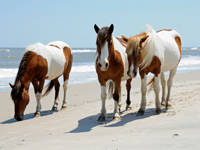 Wild ponies, dolphins, and migratory birds can be found on Chincoteague and nearby Assateague. 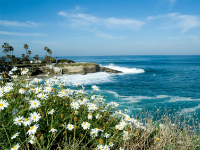 A short drive from San Diego, this elegant area caters to only the very best in beaches, views and visitors. 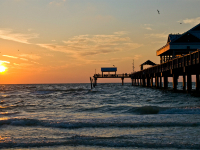 It’s the best of both beach worlds, with the Gulf of Mexico to the west and serene Tampa Bay to the east. With the Continental Shelf 40 miles offshore, it’s no wonder this is the world’s blue marlin fishing capital. 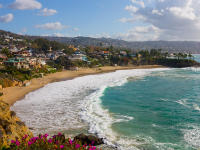 From its dramatic beachside slopes to its still-unspoiled tide pools, Laguna is a natural paradise.